Does Ice Melt Faster in Water or Soda? When you are preparing icy pops for a get together and wondering why its taking long to freeze, look at the amount of sugar added to the recipe. Sugar free icy pops would take a shorter time to solidify and be a healthier alternative for guests. The freezing of the icy pops follows the same concept when throwing salt on icy roads, it slows down the freezing process. Water freezes at 32 degrees Fahrenheit. At 32 Fahrenheit or zero degrees Celsius there is an equilibrium between water freezing and ice melting. Therefore, molecules of ice are melting and molecules of water are sticking to the ice and becoming frozen. Since this is occurring at the same rate the water physically looks frozen at this temperature. When the temperature is lower than 32 degrees Fahrenheit the water molecules move much slower causing them to be captured by the ice. The freezing process is occurring faster than the ice melting. Physically no water can be seen in or around the ice and the water is completely frozen. Water molecules are moving quickly when they are above the freezing point. This causes water to melt faster than it freezes. The water molecules do not stick easily to the ice giving a physical appearance that is watery. When sugar is added, the sugar molecules dissolve into the water. There are less water molecules because the dissolved sugar replaced the water molecules. 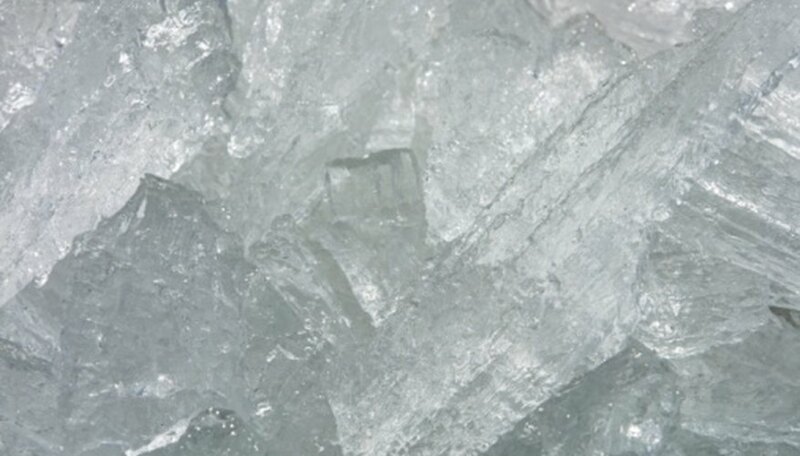 The number of water molecules captured by the ice during the freezing process also decreases. This causes the freezing temperature of water to decrease and the process takes longer. The sugar molecules will eventually be captured by the ice but it will take longer. Thea Johnson has been writing since 2004. She has been published online at eHow and in "Serpentine." Johnson graduated with a Bachelor of Arts in English and journalism from the College of Staten Island. Johnson, Thea. "How Does Sugar Affect the Freezing Process?" Sciencing, https://sciencing.com/sugar-affect-freezing-process-8619583.html. 24 April 2017.